Show off your enthusiasm! 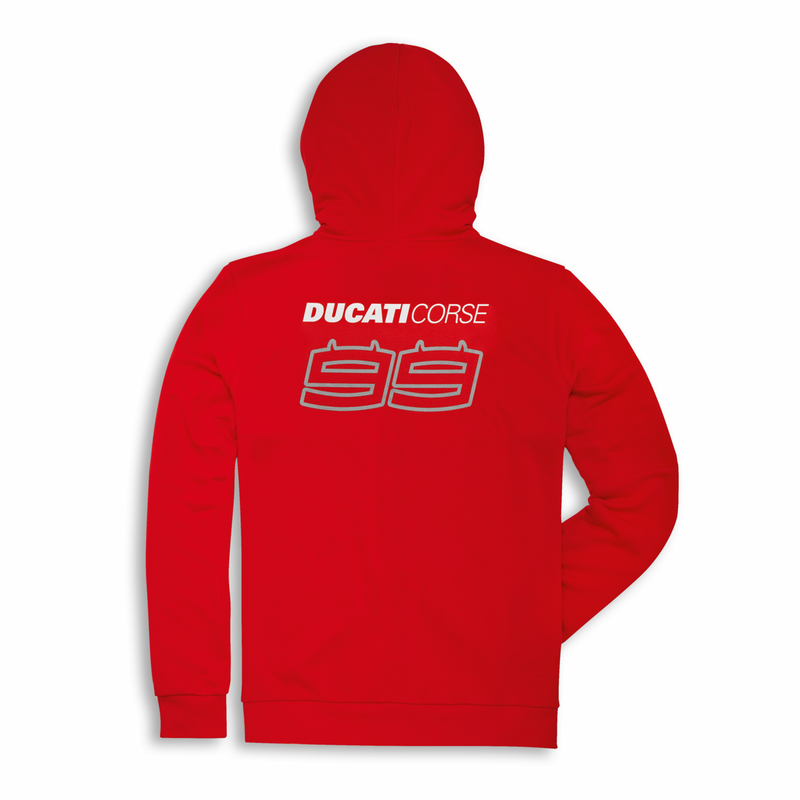 Guaranteed racing style with the sweatshirt dedicated to Jorge Lorenzo, featuring the number 99 and the Ducati Corse logo. Go Jorge! 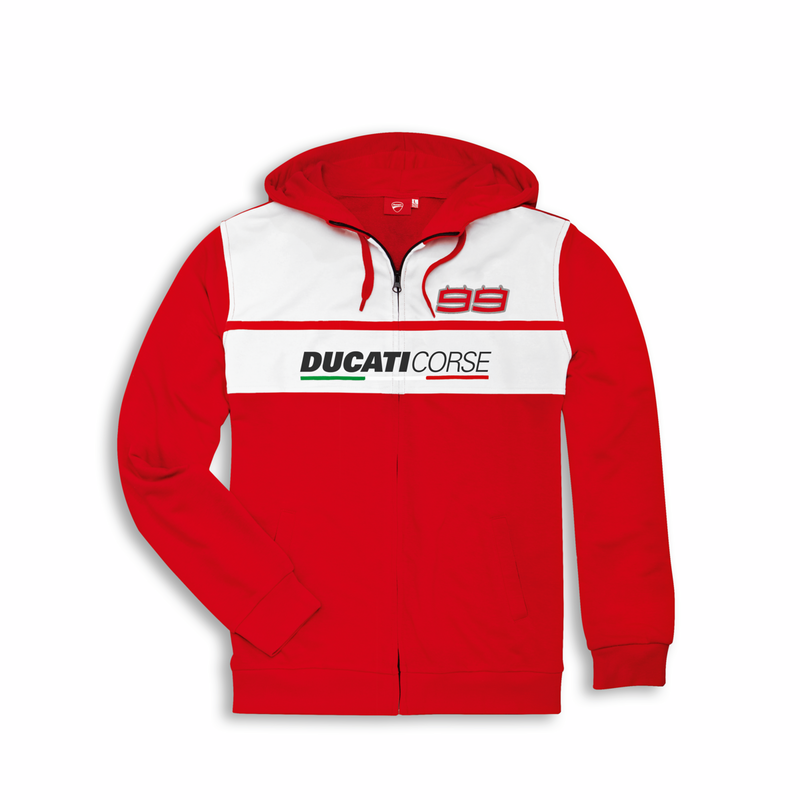 Composition: 80% cotton, 20% polyester.